Being in town for university on a daily basis is tough. Walking up Buchanan Street everyday, trying to resist every urge to go into every clothing shop and not to buy a single thing is very very difficult not just for me but for any 18 year old student. Recently, I have stopped myself from buying anything, and if you asked any one of my friends they would all say this is very hard task for me. For this post today I am going to share the items I would love to buy right now! But, unfortunately I have to save my money. I am in love with this jacket. But it costs £59, so that is my problem. ( link for it, is above) I was walking past the Urban Outfitters shop when I saw it in the window and wanted it straight away. 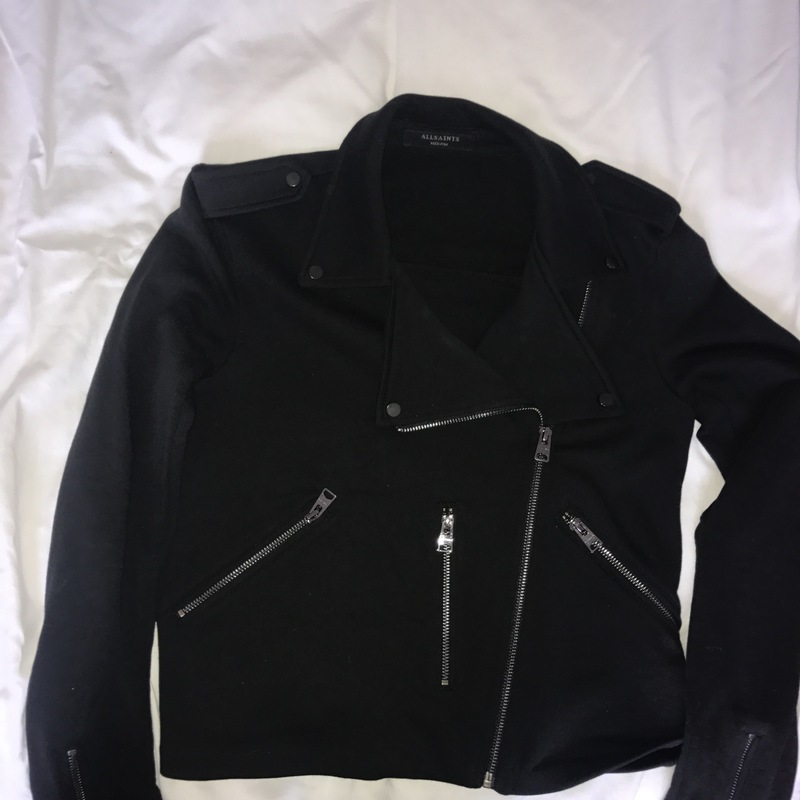 I would say I already do have quite a variety of different jackets but this isn’t like any I’ve had before and would be nice for spring/summer. Of course Zara has to be on the list.. The words on the picture says it all really. I really want this two piece outfit from Zara. If I remember correctly the top is £17.99 and the bottoms £25.99. I haven’t tried it on yet but I love the style and the pattern of the clothing. This is part of Zara’s most recent new collection. Don’t really have the money to be spending £45.50 on a bag. But I love this pink camouflage pattern. 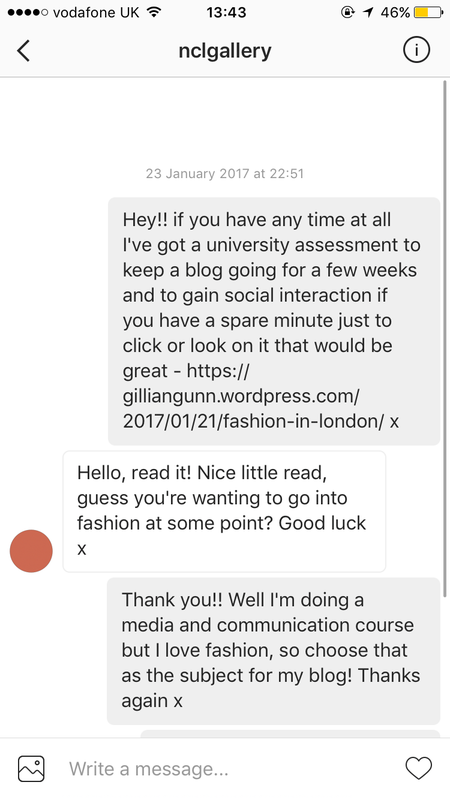 About a year ago I got a backpack from Accessorize that cost me £50 and I’ve used it once. I like this bag because it is different. It’s a good size and I actually like the style of it. This brush kit looks amazingg. I know quite a few people who already have it and they have recommended it to me. I love the rose gold on them and makes the brushes look very professional. 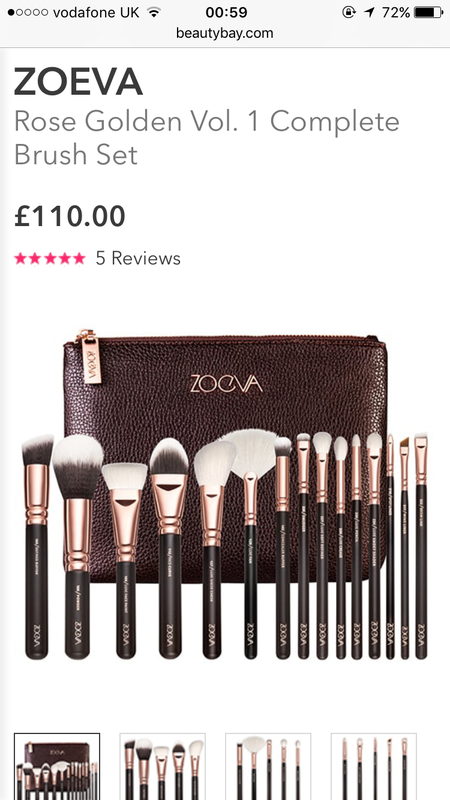 However, I think I would feel a bit guilty if I spent over £100 on a make-up brush kit but I really want it. I also don’t think my mum would be too happy either. Hopefully in the next couple of months I’ll be able to get them. I got this jacket a few months ago luckily in the Zara sale. It was roughly £30 I think, however I could only get it in a size Large. This doesn’t bother me personally as I like big jackets and I am able to wear big jumpers underneath. 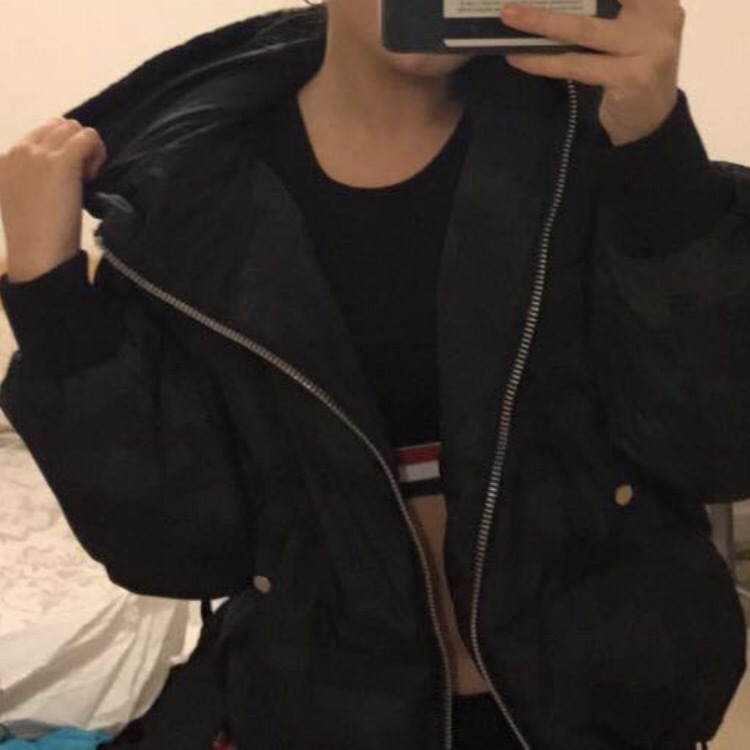 I love this jacket as I can wear it for nights out aswell because it’s quite fancy rather than other jacket that I will mention below. 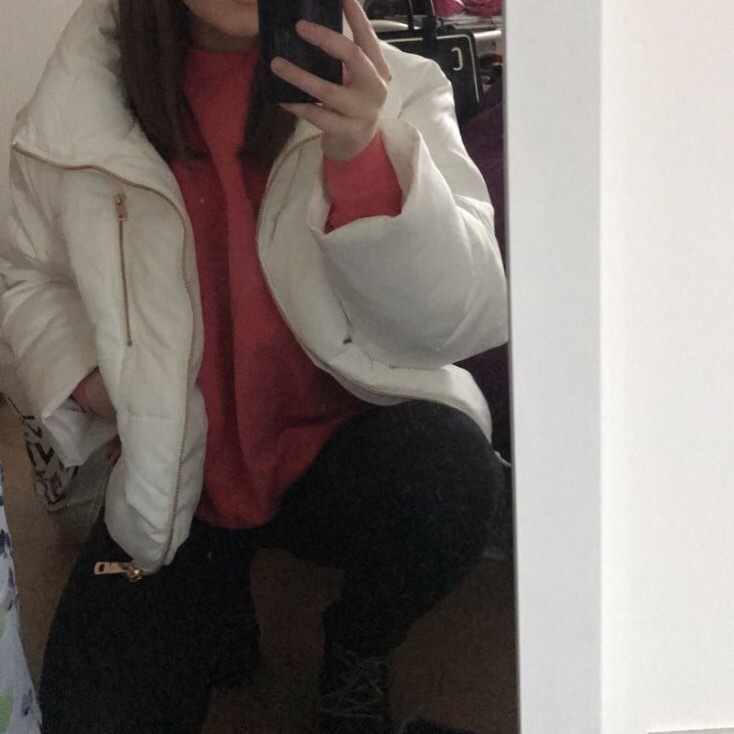 This jacket is honestly amazing, I bought this as I really needed a jacket with a good because going to university when it’s raining and you have to walk up a hill.. you NEED a hood! This item also goes with like every outfit I wear and it very comfy. I unfortunately didn’t get this in the sale and saw it in the sale a few weeks later. It was £50. 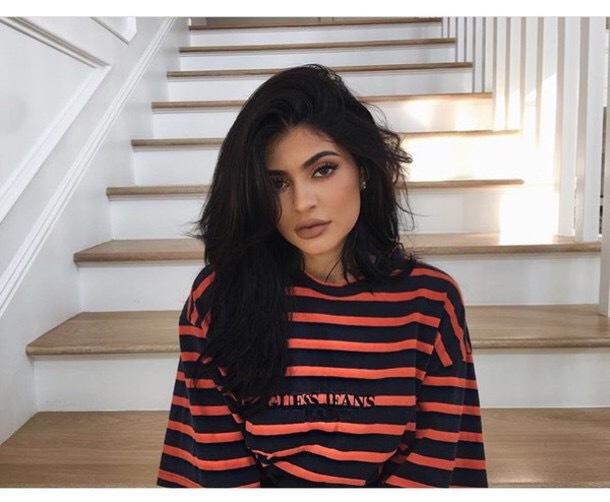 This is probably one of my favourite pictures of Kylie and I fell in love with her too. 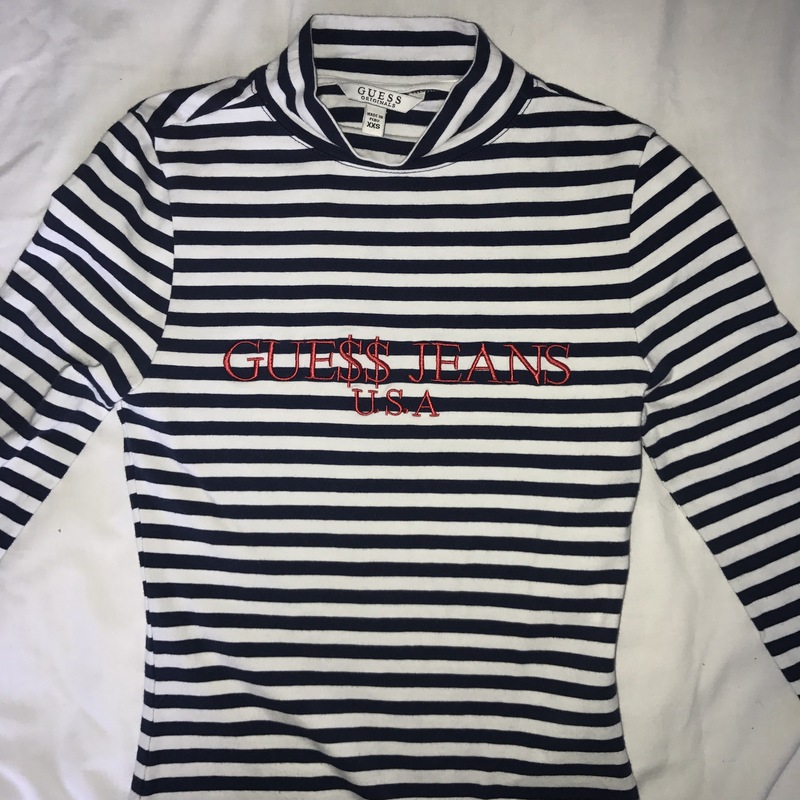 So, I went to the GUESS website and went onto the Sale tab at the side of the website, whilst scrolling down I found this top on sale for £14.50. I didn’t even realise until it came it was a A$AP ROCKY Original! I love the high collar and the quality of the t-shirt is amazing. When I was in London in Selfridges I straight away went to the All Saints department in the women’s clothing floor. I was very happy to make this purchase. It was £65 in the sale used to be £98. I had been looking for a jacket that wasn’t too big to carry about for nights out and this was the one for me. The style of the jacket is very pleasing and in a way looks like the All Saints famous denim jacket they sell but only different is that it is material instead. You won’t usually see me wearing jeans and if I am it’s for a night out or I’m just being lazy and can’t be bother to put together a outfit. I love comfy joggers. The first top left image are pink joggies that I found in Tesco. I never shop in Tesco unless it is for food. However, I was in with my mum and fell in love with how comfortable and cosy they are and I love the colour. Even better.. they were only £10. 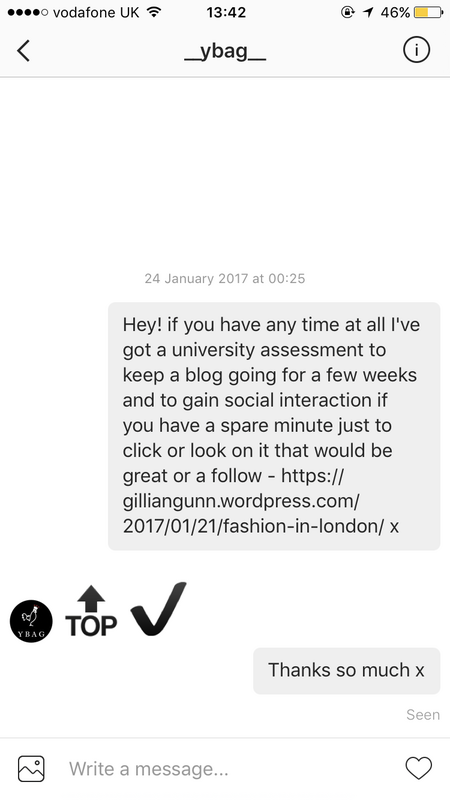 The top right image were from Zara. Of course. I got these in the sale for £9.99 and luckily in my size aswell. These are quite risky as they can get dirty really easily. 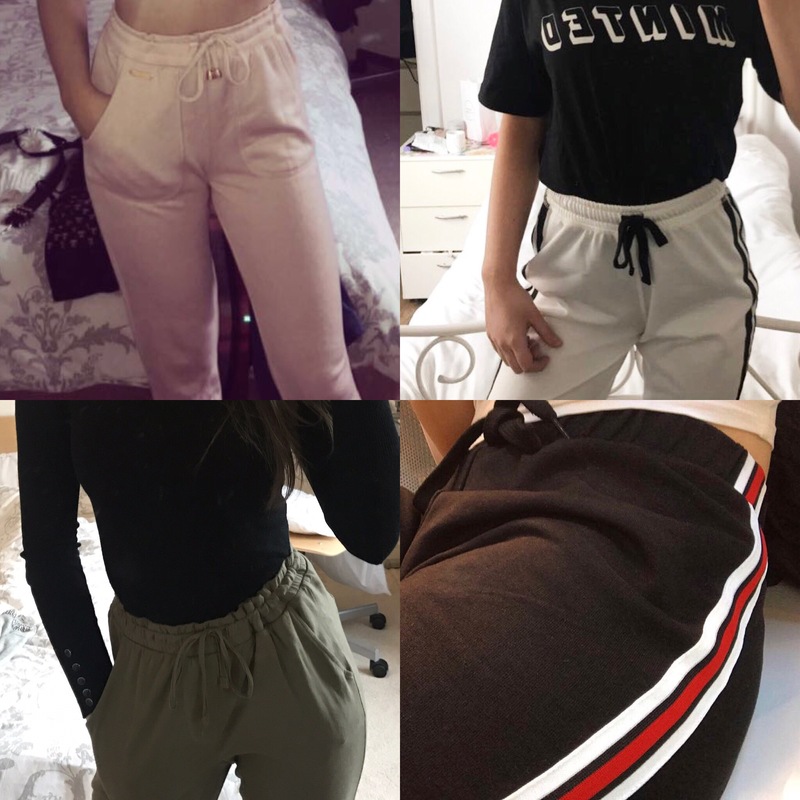 Bottom left are also from Zara. I would say these are more baggy that any of the others but I love the colour khaki and love the pockets aswell. They were £15 bit more expensive. Last but not least, bottom right. These are from New Look, they aren’t as tight as the rest at the bottom of the joggers but they fit perfectly at the waist. I love the 3 stripe colour on the side and you can put any black, white or red top with it. 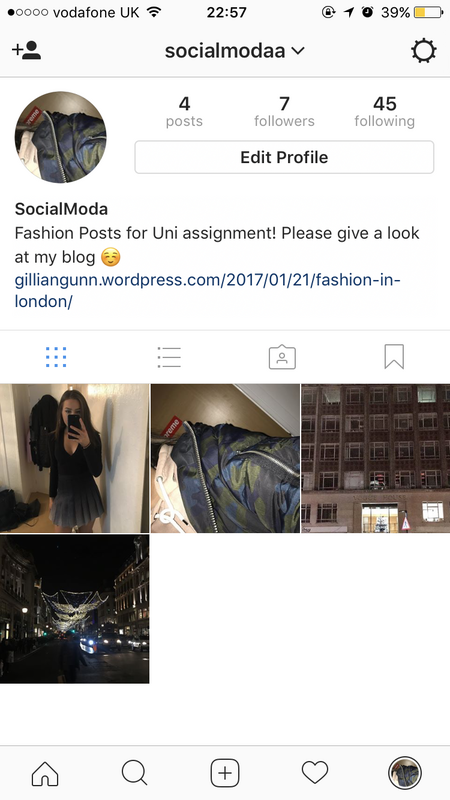 Will regularly be posting fashion photos! 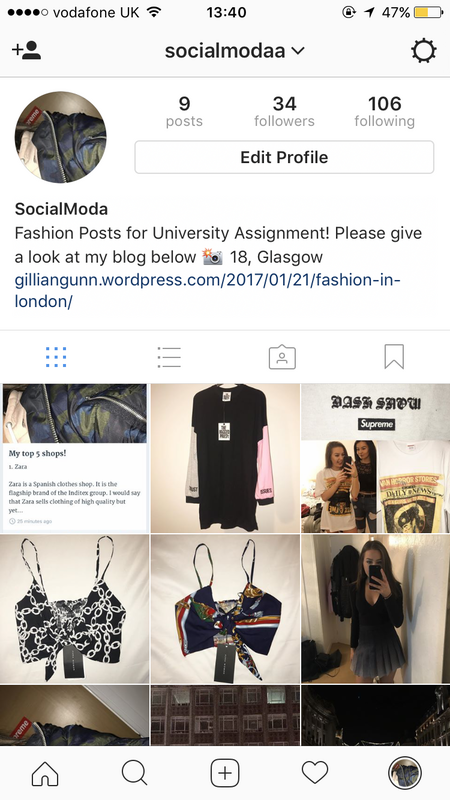 Posted on January 23, 2017 January 23, 2017 Categories Fashion, Instagram, UncategorizedTags Fashion, InstagramLeave a comment on Instagram!